Select (size) size / age 50 cm. / 0 m. 56 cm. / 1-3 m.
The perfect gift for expectant parents or a newborn. These sets contain organic cotton essentials suitable for both baby boys and girls. • Baby Double blanket with hood 85x85см. Available in a range of prints, beautifully presented in a nice paper box making it a wonderful gift!Enjoy the finest cotton touch with our organic cotton clothing collection for a perfect gift! 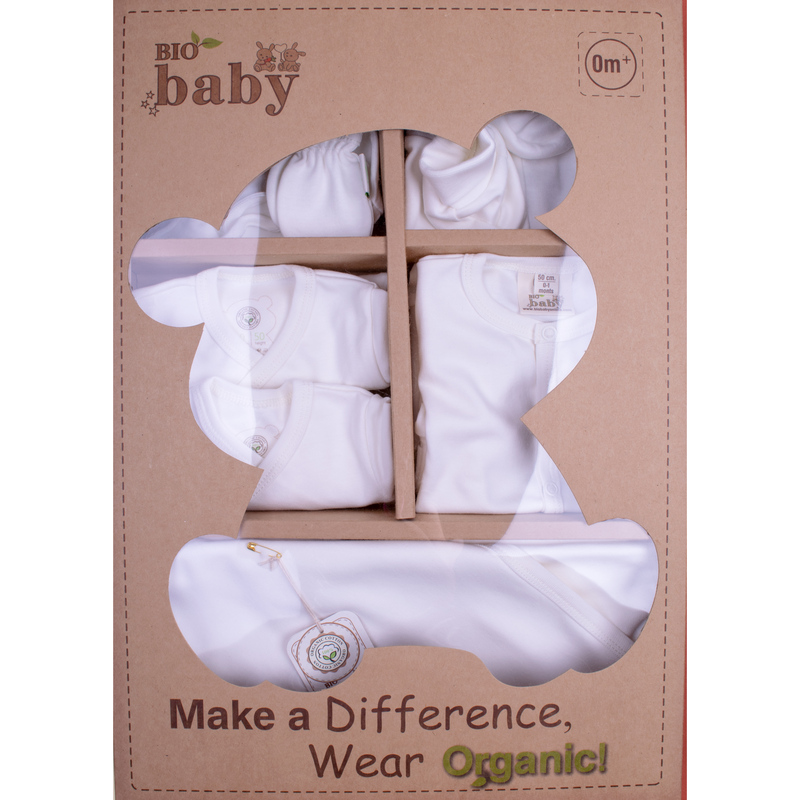 • Made of 100% certified organic cotton, this baby gift set is gentle for babies' soft skin. • Very soft fabric, delicate in touch and very resilient. • No tags are sewn inside the clothing which ensures a high wearing comfort.